Hong Kong’s culture is a melting pot of customs and traditions, influenced by 1000's of years of immigration. Wherever you look in the city, there is a story to be told. A few weeks, days or just hours are enough to get you hooked on the incredible city that is Hong Kong! Whether you’re a first timer, or already have a love-affair with this great city, we have recommendations and tips on Hong Kong from people in the know. Discover real, local advice to guide you through many exciting experiences and adventures. Hong Kong’s culture is a melting pot of customs and traditions, influenced by thousands of years of immigration. 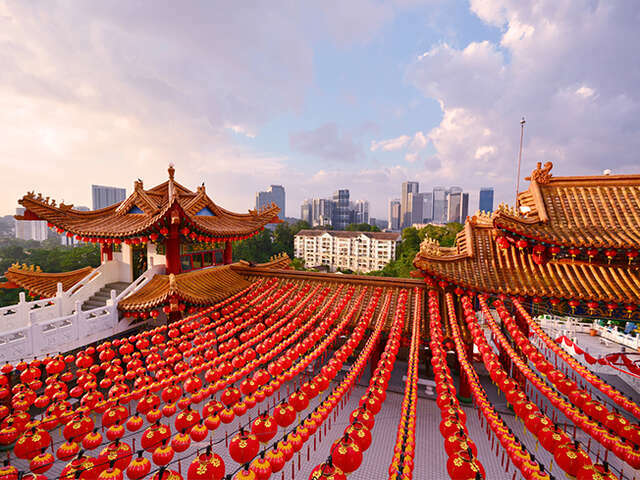 Wherever you look in the city, there is a story to be told that will take you back centuries: whether it’s in the traditional Chinese festivals, cultural arts, or family-run restaurants. Below you’ll find an introduction to just some of the impressionable cultural experiences to be had in this ever-changing city. While Hongkongers are proud to call this city home, almost everyone you meet will be able to trace their roots back to mainland China. Human settlements date back some 30,000 years and since then the city’s population has exploded with migration from across the mainland—with each group bringing its own culture, cuisine and traditions. Although these blend seamlessly into the cultural melting pot that is Hong Kong today, you can still see evidence of these enduring influences at every turn and even experience some of the more longstanding Chinese folk traditions firsthand.